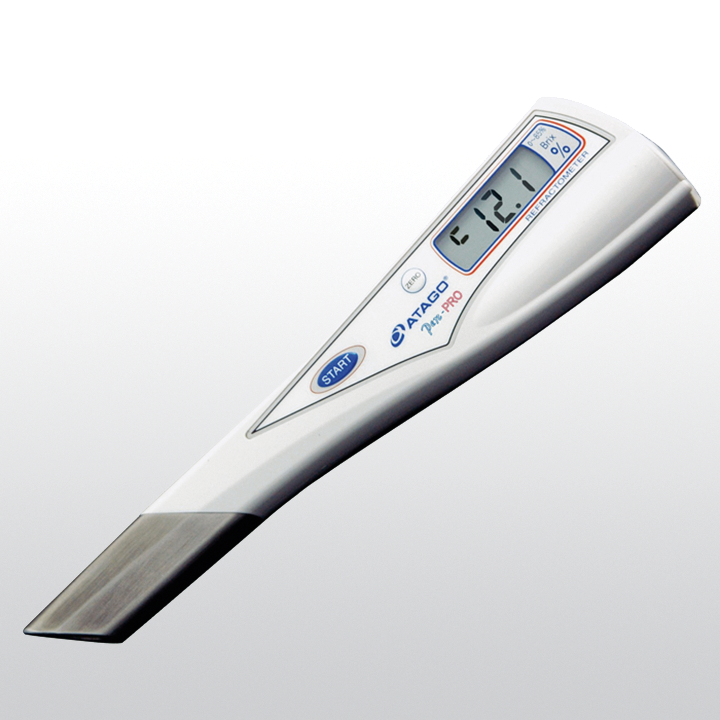 This compact, lightweight, dip-style refractometer is ideal for measuring Brix concentrations in beverages, sauces, cutting oils, urine, salt water and more. Calibrate the unit with water, dip in the sample and press the start key; measurement is displayed in 2 seconds. Take continuous measurements, once the start key is pressed, readings update every second. PEN-PRO is equipped with automatic temperature compensation and is water resistant. In addition, the external Light Interference (ELI) feature alerts the user when ambient light conditions are too intense for accurate readings. PEN-PRO measures on a Brix scale between 0.0 and 85.0%. Related links to "ATAGO PEN-PRO"